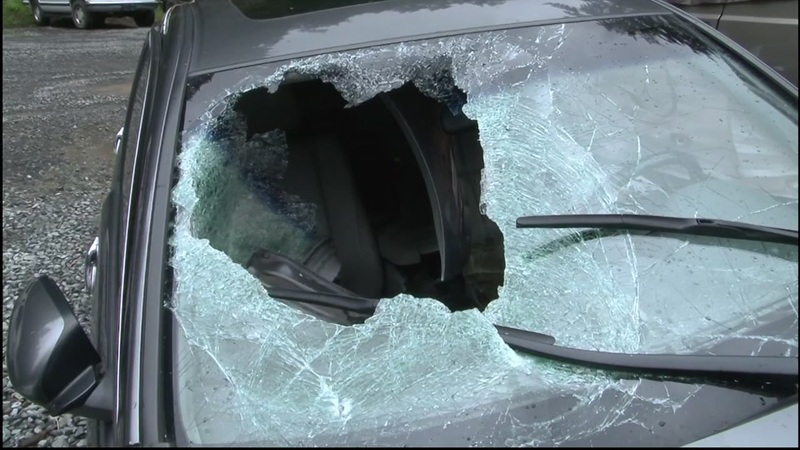 SONOMA COUNTY, Calif. (KGO) -- A driver in Sonoma County is lucky to be alive after a boulder flew through his windshield and practically landed in his lap. The man was driving this Honda Accord south on Cazadero Highway near Kidd Creek Road around 10:30 a.m. on Monday. That's when the boulder flew through his windshield. "What had happened is he'd come around a turn and a rock came off a hill up above him about 40 feet up, went through the passenger side window and hit him in the shoulder," said Monte Rio Fire Department Chief Steve Baxman. The driver then veered off the highway and crashed into a tree. Fire officials say the tree actually kept the man from flying into a creek.